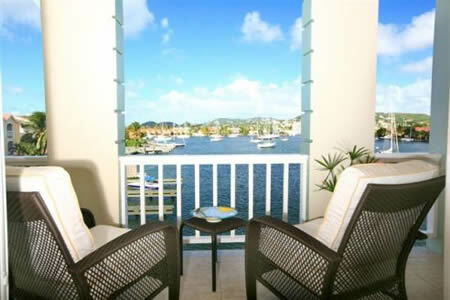 7 The Harbour is situated in the townhouse development of The Harbour, located in Rodney Bay within easy walking distance of Reduit Beach, the JQ's Shopping Mall and the many restaurants, bars and nightclubs of Rodney Bay. 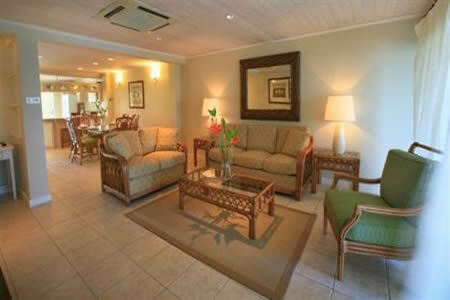 This townhouse has a spacious ground floor which comprises the open plan kitchen, dining, living room and open air patio. 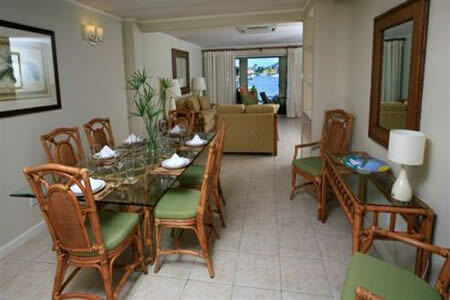 The dining room is beautifully appointed with a glass top dining table with seating for 6 and this opens out onto the spacious living room. 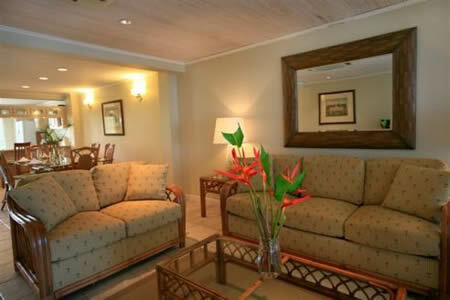 This room comes equipped with a stereo, cablevision TV and DVD. 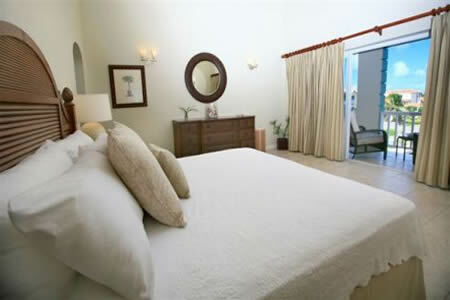 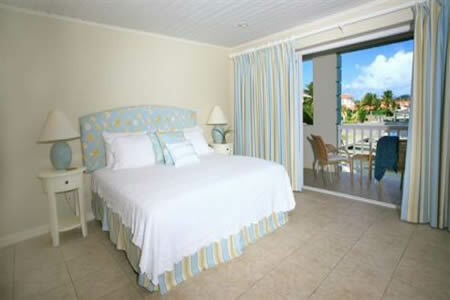 The room is cooled by central airconditioning and it opens out through French doors onto an oceanfront patio. 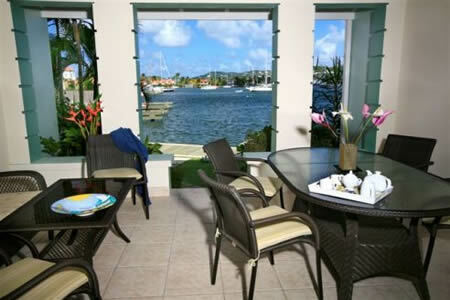 The view from the patio is of the Rodney Bay Marina with its beautiful array of luxury yacths and sailboats. 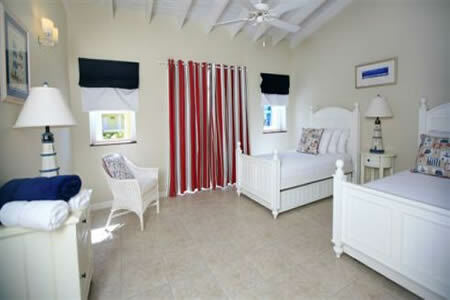 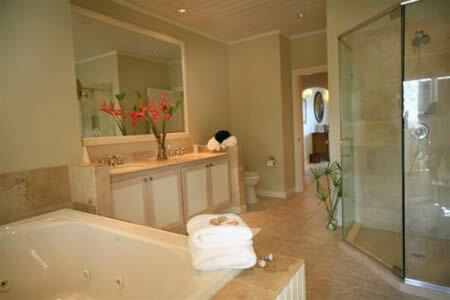 There is a well equipped kitchen and laundry room for your convenience and a small powder room. 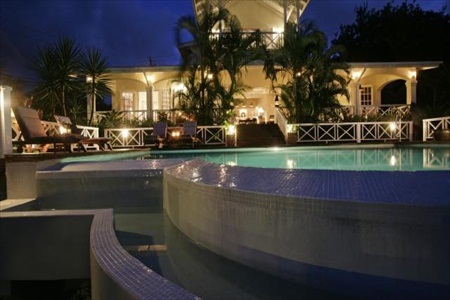 The Harbour is situated in fully landscaped gardens, with a swimming pool and three jacuzzis scattered amidst the lush tropical foliage. 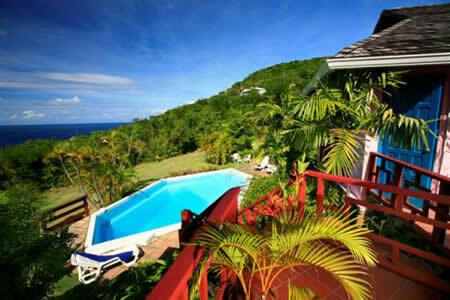 This tropical villa, which was recently renovated, is ideally situated in Cap Estate at the Northern point of St. Lucia, on a hill overlooking the Caribbean Sea and Pigeon Island. 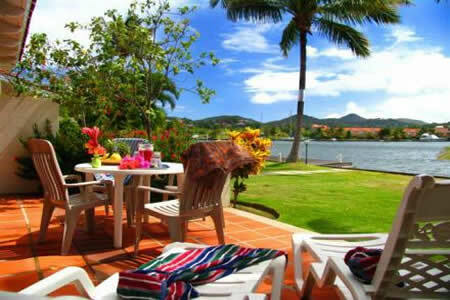 It is only minutes away from beautiful beaches with good snorkeling possibilities. 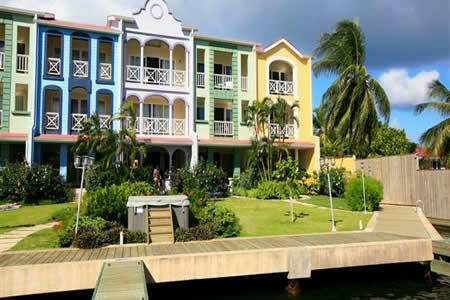 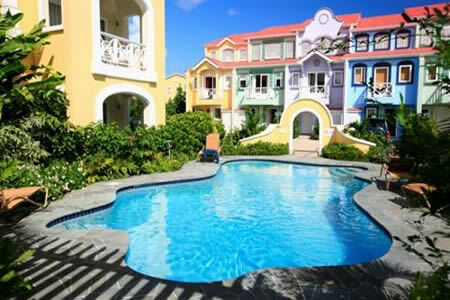 Admiral's Quay #5 is situated in the townhouse development of Admirals Quay, which is situated in Rodney Bay within easy walking distance of Reduit Beach, the JQ Shopping Mall and the many restaurants of Rodney Bay.